Online shopping is a part of everyday life now. Some years ago, an online store was an optional extra, but now, if your business is one which can host an online shop, it should. Customers love to find that the sales process is as easy as possible for them. If they can do it while on the go, even better! Though we know that this is the reality, it may surprise you to learn that Irish SMEs have been slow to jump on the e-commerce wagon. Even though Irish SMEs understand the value of their websites as a key marketing tool, many have been hesitant to take the next step towards offering customers the full e-commerce experience, with only 28% e-commerce ready. Not all businesses need an online store, but those of us who could benefit from one, should consider the vast benefits it could bring. They allow our customers to access our business at a time and place that suits them, it provides an opportunity for them to recognise that we stock the products they need and presents an opportunity to present our best foot forward to our customers, even while we’re asleep in bed! 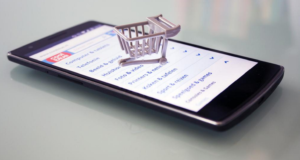 It is clear that e-commerce is a valuable tool, but to be successful, it must be done right. Your online store is a place that you want to invite your customers to spend time browsing, before leaving happy with their purchase and raving about it to their friends. Achieving the effect of a great online store isn’t magic. It comes down to some key principles, which if are used correctly can set you up for e-commerce success. Let’s see what’s involved. We want our online shop to be inviting and an immersive shopping experience. There are some stores which we walk into and walk straight back out of again because we don’t feel comfortable. Perhaps it is cramped, or dark, or maybe the stock is not displayed in an attractive manner. These same principles apply to your online shop, it’s not just another website. You want your online store to be visually attractive. It should be well laid out, easy to manoeuvre and hassle free for all users, no matter what device they use to access it. Keeping customer experience front of mind will help guide you in the decisions you make in creating your online store. Customer experience also involves maintaining a connection with your customers. Try doing this through social media, newsletters, or email promotions. While you don’t want to hassle your customers, providing useful updates on promotions and savings they may want to avail of keeps you in your customer’s good books. Some of the best online stores have responsive menus which pop up when you hover over them with your mouse. This allows you to see the products you want without too much clicking. This is a good model to use. Consider how you set out your menus, particularly if you have a wide selection of products on offer, so that each sub-section is found in a logical sequence. Nothing frustrates potential customers like a haphazard, confusing menu layout. If they cannot find the product they want with ease, they will go elsewhere. The other function which plays a large part in making browsing for products easy is the inclusion of a search bar. Some shoppers know exactly what they want and don’t want to have to scroll through other products to find it. The search bar should be prominent at the top of each page and large enough to allow for full product names. Configure your search function to allow for similar phrases to what the shopper has typed in. An ‘item not found’ notice can be frustrating when you know the product exists. Keep the symbol for the basket simple. Though you may like to be innovative with some elements of your website design, key parts of the sales funnel, like the shopping basket aren’t the best items to play with. Ambiguity here can hurt sales. Display symbols which show that your website is safe and secure and that it accepts most types of payment options. Again, these symbols follow a convention, customers expect to see them and feel secure when they do. Make the process of adding items and removing items from your basket as simple as possible. If it is difficult to remove an item, the customer may discard the whole basket in frustration. It is useful to allow the shoppers browser to remember the contents of the basket if they leave your shop to return at a later stage. Again, this comes down to user experience, they have already done the hard work of sourcing the products they want, and they don’t want to have to do it again. At bricks and mortar stores, we can’t do much about a long queue. We have to wait our turn, the beauty of online shopping is that there are no queues. But, some online stores over-complicate the checkout process to such a point that it feels like the hassle of queueing. As shoppers, we don’t like to queue and we don’t like complicated forms that want to know our life story to complete our sale. Some customers will want to sign up and provide all the details you could want, but others want to speed through and get on with their day. To accommodate both, aim to provide an option to sign up along the option of checking out as a guest. Those who enjoy your online store will return and may choose to sign up for an account on the second or third occasion, but by leaving the ball in their court they feel empowered about when to make that choice. 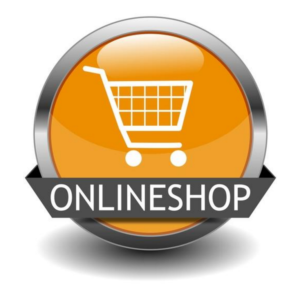 If you are selling products in an online environment you need to make the experience as close to reality as possible. The customer cannot feel the texture of the object in their hands, or turn them about to see all angles as they would in person. The images you use should compensate for this. You may choose to provide a range of images including close ups of details or one image which can be zoomed in on at any point. The colour, texture and intricate details should be evident from the images used. Take your images in front of a clean, contrasting background so that the eye is not distracted from the product. Some e-commerce site owners incorporate video into their product image section so that the customer can see the product in action. This takes the customer experience to the next level, as this is not available when shopping in person. The descriptions given of your product are as important as the images. This is where you get the opportunity to impart all the relevant details about the product to the customer as you would in person. You can use bullet points to highlight key features alongside copy which sells the benefit of the product to your target audience in a way that allows them to see themselves in possession of the object and benefiting from its use. Keep the descriptions short and to the point while using convincing language to influence your customer to make the purchase. This needs to be effortless both for you as the administrator of the online store, and for your customer. As a customer, we want to see a confirmation email appear in our inbox after purchase and a dispatch notification when the product is en route. This builds trust in the brand, and assures our customers that we are carrying out our end of the bargain. However, as store owner, we don’t have time to manually issue these. At Effector, we use WooCommerce, a great tool that makes issuing notifications, to printing shipping labels, and all other aspects of running your online store a breeze. Last, but not least is the speed of your e-commerce site. With everything we have mentioned in the last seven points, there is a lot going on the in background of your online store. But it must all appear seamless to the potential buyer. Your website should load promptly without any problems. Consider compressing images to reduce loading time. If your site takes more than 3 seconds to load potential customers will start to see cracks, if the loading speed is slow on the homepage, they may start to question whether will there be issues with the checkout process. Avoid this by ensuring that your page starts up quickly. 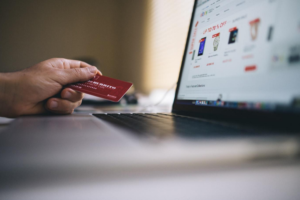 These are some of the most important considerations when you set about building your online store to ensure that your customers respond positively. At Effector, we can create an incredible design which resonates with your specific customer profile to keep them coming back time and again. We can also help you track your online store’s performance so that you can adjust it as necessary. 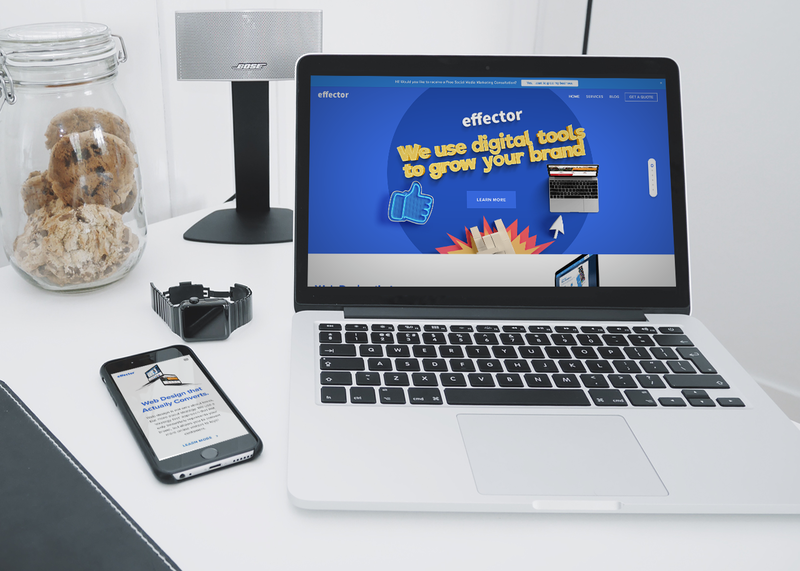 When you are a small business, it can be daunting to put your brand which you have worked so hard to build online. Yes, it is a big step, but it can bring big rewards. Don’t forget that the Local Enterprise Offices around the country are eager to help businesses just like yours begin trading online. They see the opportunity and want to help Irish SME’s reap some of the benefits of the e-commerce world by awarding vouchers of up to €2,500 to get you up and running. You might be eligible for support which can offset the cost of getting your online store set up. So, now you have the why, the how and the financial support to trade online. Only one question remains, what’s stopping you?